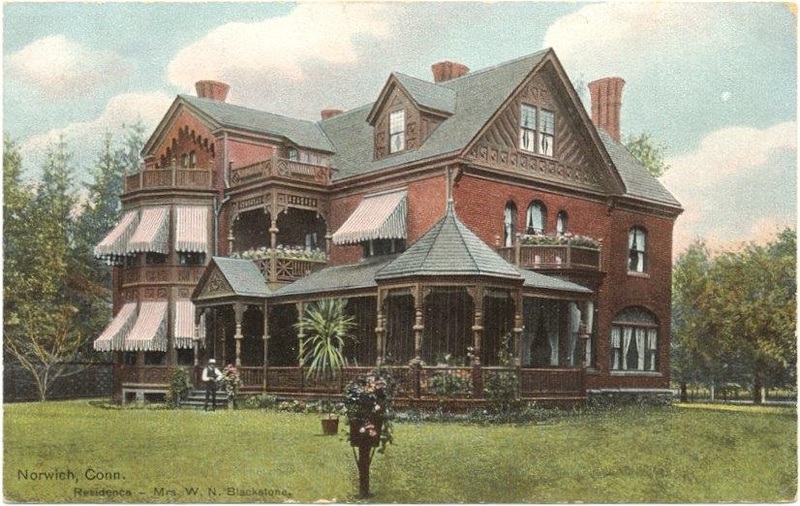 It is said that by the mid-19th century, Norwich claimed more millionaires per capita than any other city in the United States, with more than fifty residents earning in excess of $1 million per year in today’s dollars. Norwich’s strategic position halfway between Boston and New York made it a desirable location where trade and industry flourished. By the eve of the Civil War, the city was the third largest in the state (after only Hartford and New Haven). Its three rivers—the Yantic, Thames, and Shetucket—powered important industrial mills, such as, the Ponemah textile Mills and the Hopkins & Allen Arms Company, among many other profitable enterprises. The harbor at Chelsea Landing (downtown) was a bustling seaport, a major shipbuilding center, and a hub of wealth, commerce, and influence. Direct access to the Norwich & Worcester Railroad (1840) and a steamship line also put Norwich on the map by providing ready transport of goods and people in and out of town. By the early 1800s the Millionaires’ Triangle—bordered by Broadway, Broad Street, and Washington Street—was on the way to becoming the city’s finest residential district. By the Civil War era, ornate mansions and fabulous gardens had made this neighborhood, just up town from the landing, the quintessential embodiment of the Gilded Age, a period synonymous with the opulent lifestyles of the Victorian era’s newly rich. Shipping merchants of the early decades were followed by a steady stream of bankers, financiers, manufacturers, publishers, lawyers, railroad executives, philanthropists, and a U.S. senator and vice president. Among the august citizens who lived here or nearby was First Lady Edith Carow Roosevelt, Pres. Theodore Roosevelt’s second wife, born in 1861 in the home of her grandfather, Gen. Daniel Tyler (130 Washington Street). Connecticut’s Civil War-era governor William Buckingham (307 Main Street) also had strong social and family ties to the Triangle. As members of this high society intermarried, they often merged their fortunes, creating even more unimaginable wealth. Yet while they lavished huge sums on their mansions, they also gave back to their community. Their interests in charitable causes illuminate an understanding of important social issues that arose in a tumultuous era marked by the end of slavery and a dramatic rise in immigration rates. 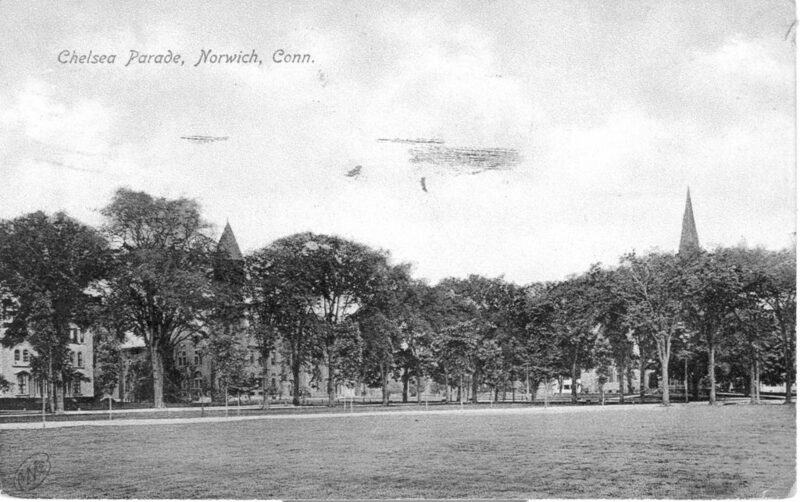 Locally, they improved the city’s physical and cultural landscape by sponsoring institutions like Norwich’s Otis Library (1850) and the 1854 Norwich Free Academy (#3) and its Slater Memorial Museum (#3- 1886), along with a splendid new building for the 1874 Park Congregational Church (#22). 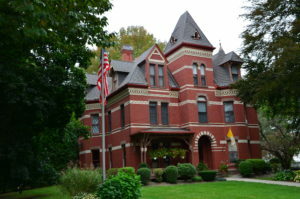 Norwich’s millionaires also oversaw commissions for some of the city’s most stunning civic and commercial architecture, including the c.1870-73 City Hall (County Courthouse) and the Ponemah Mills in the Taftville section, one of the country’s largest textile production centers when it opened in 1866. Walk Norwich: The Millionaires’ Triangle Trail is adapted from Norwich in the Gilded Age: The Rose City’s Millionaires’ Triangle, by Patricia Staley (The History Press, 2014). To learn more about the families featured on this trail, please consider purchasing Patricia’s book. Many portraits of the millionaires from this time period are on display at Slater Memorial Museum. Parking for the trail is available along Chelsea Parade. Text written and researched by Rachel Carley and Regan Miner. The brochure was produced by the Norwich Historical Society in 2019. Acknowledgements: Thank you to Bill Champagne, Patricia Staley and Vivian Zoë for their assistance editing the text. 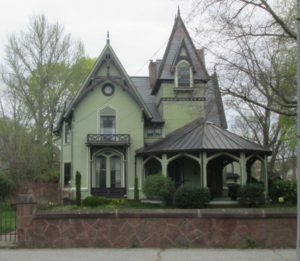 Although the socially elite once populating the Millionaires’ Triangle have largely vanished into the annals of Norwich history, a stroll through the neighborhood reveals much about the extravagant Victorian tastes that made this area an architectural showpiece. 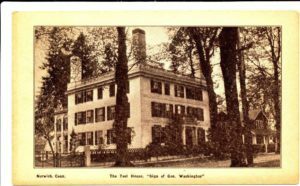 The oldest building on our route, a former 1789 tavern known as the Joseph Teel House (#2), is the only stop to pre-date the 1797 Chelsea Parade (#1), a tranquil piece of greenery that helped make the area one of Norwich’s most desirable addresses in the 19th century. 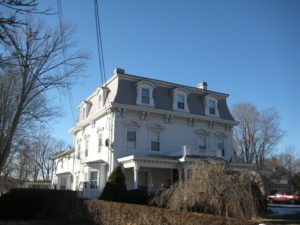 The area’s early prestige is reflected in its many fine residences in the Greek Revival style (#6, #10, #11), which, popular c.1855, coincided with the ascent of Norwich’s maritime and early industrial commerce. Inspired by well-publicized archeological discoveries in Greece, this conservative style relied on the ancient classical Greek orders (Doric, Ionic, Corinthian) and a precise geometry used to elegant effect. The imposing columned porticos and Greek motifs associated with the Greek Revival conveyed an instant message of good taste and well-being. 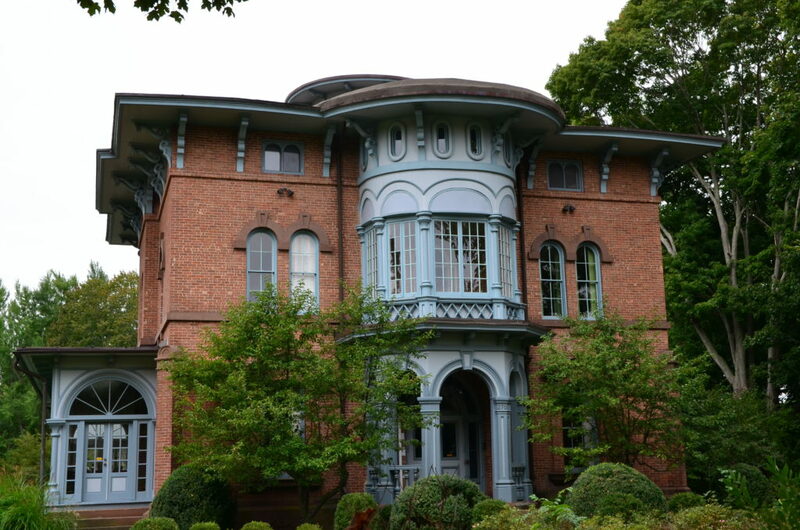 By the 1860s, the Italianate was in high fashion in the Triangle. Tastemakers of the day were enthusiastic promoters of the Italianate “villa” (#3, #9, #13, #19, #20), a squarish building type inspired by the villas of medieval Tuscany. 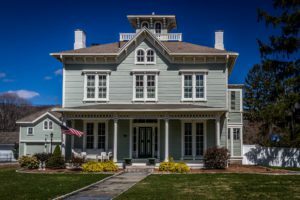 Never mind that its low-pitched roof was ill-suited to New England’s snowy winters, or that its signature cupola was originally intended to draw up warm air in the hot, dry Tuscan climate. The style struck the right notes of intrigue, evoking the mystery of exotic and unfamiliar places under the influence of the Romantic Movement. 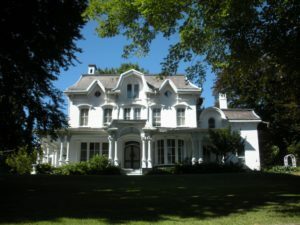 The Gothic Revival (#5) and the French Second Empire (#7, #17) were similar expressions of Victorian-era taste, which rejected the Greek Revival (staid and a bit unimaginative) in favor of exotic decorations and bright color schemes. By the end of the Civil War, preferences were turning to European historical revivals like the Romanesque Revival style, which recalled the heft and craftsmanship of the masonry churches of medieval Europe. 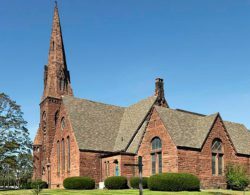 The architect of the turreted Slater Memorial Museum (#3) deftly employed the style to convey a look of gravitas similar to that of the equally dignified Park Congregational Church (#22). 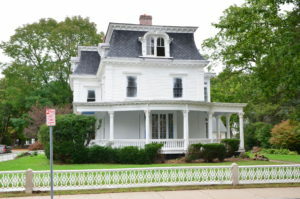 Among more recent buildings on our route, the 1891 Briggs House (#18) was a modern design for its time as an example of the Shingle Style, which referenced traditional New England building materials (shingles, fieldstone) and colonial motifs to create a uniquely American expression. 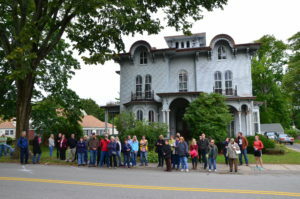 Chelsea Parade and much of the Millionaires’ Triangle are included in the Chelsea Parade National Register Historic District, designated in 1989 in recognition of the area’s historical and architectural significance. This triangular park was given to the city by landowners in the vicinity, who were hoping to improve the value of their own real estate by turning a derelict lot into an elegant public space. 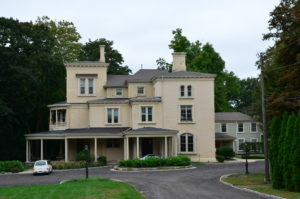 This complex replaces the elaborate c. 1888 villa (see cover) once occupied by William N. Blackstone (1853–1907) and his wife Julia Squires Blackstone (d. 1941). In 1853 the Rev. John P. Gulliver, founder of the Norwich Free Academy, approached the wealthy citizens of Norwich to establish a school that ensured even students of the most modest backgrounds would be eligible for a superior education. Charles Augustus Converse (1815–1901) was co-founder of the Norwich-based Hopkins & Allen Arms Co. (1868), which became the third-largest gun maker in the U.S. after Colt of Hartford and Winchester of New Haven. 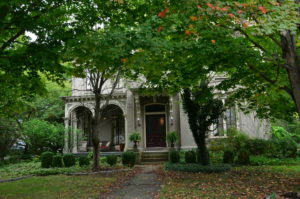 The Tompkins House must have been an instant landmark when it was built soon after the Civil War. Here Benjamin Tompkins (1808–92), noted advocate for social reforms, made his home. It was New England’s textile industry’s great fortune that Leonard Ballou (1794–1880) opted out of a planned career in teaching in favor of developing his skills as a cotton miller. Joshua Newton Perkins (1804–76) accumulated his riches in the insurance and railroad industries, while investing successfully (initially, at least) in the New York Stock Exchange. Gen. William Appleton Aiken (1833–1929) was serving as chief aide to Connecticut governor William Buckingham (1804–75) during the Civil War, when Buckingham named him quartermaster general of Connecticut with the rank of brigadier general. James S. Carew (1821–81)—merchant, manufacturer, and dabbler in local politics—was serving as mayor of Norwich at the outbreak of the Civil War. 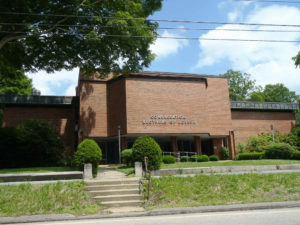 This historic congregation, organized in 1883 by a group of primarily eastern European Jews living in Norwich, had several homes before building this modern brick synagogue in 1966. Moses Pierce (1808–1900) established the Norwich Bleaching, Calendaring and Dyeing mill for processing textiles in the Greeneville section of Norwich in 1840. In the mid-1800s, a wave of immigrant millworkers practicing many different faiths came to Norwich. 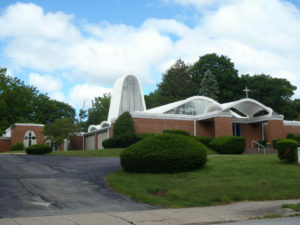 The Irish Catholic immigrants established St. Mary’s (192 North Main Street) the first Roman-Catholic church in Greeneville. In 1818 James L. Hubbard’s father, Amos Hubbard, co-publisher of the Norwich Courier, established a paper mill at the Norwich Falls on the Yantic River. This property was once the site of a mansion owned by Charles and Ada Richards. Charles Lewis Richards (1831–83) began his career running a ship’s chandlery in the Sandwich Islands and operated a packet boat line between Honolulu and San Francisco. 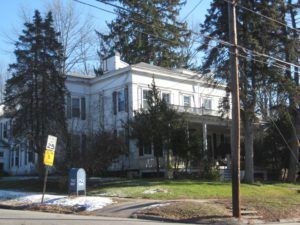 Among the early millionaires to reside in the Chelsea Parade area, Lucius Wyman Carroll (1815–1900) contributed to its reputation as a fashionable residential district by building this handsome house with his wife Charlotte Pope Carroll in 1850. The Briggs House would have made a daring statement in 1891 when it went up on Broadway as an example of the then newly fashionable Shingle style. A man of numerous business, civic, and social interests, Henry Bill (1824–1891) was a publisher, real estate investor, and philanthropist. His Henry Bill Publishing Company in Norwich specialized in scenic views, travel books, and his best-selling illustrated bibles. Gurdon Chapman was a prosperous grain dealer who served as mayor of Norwich and was active in local government and business affairs. 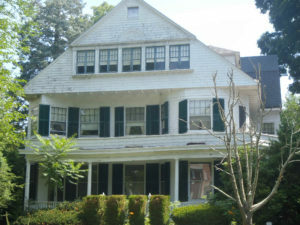 After the Chapmans died, the house was occupied by their niece Ada Pollard Richards (#16) and her family until the 1940s. Marianna Hubbard Slater (1824–89), daughter of noted newspaper publisher and mill owner Amos Hubbard and sister of James (#15), brought together two of Norwich’s most prominent families when she married John Fox Slater (1815–1884) in 1844. 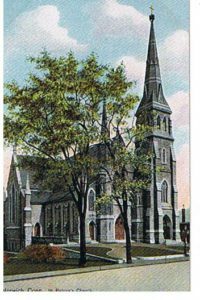 The 1874 construction of this impressive brownstone landmark at the southwest corner of Chelsea Parade reflected the desire of Norwich’s Second Congregational Church to keep up with the northward growth of the city. Image courtesy of Kathy Wieland. By the 19th century, the movers and shakers of Norwich had brought this nascent prosperity to fullest flower. The householders in the Millionaires’ Triangle and their cohort were running great enterprises: manufacturing and selling textiles, firearms, and more; operating banks, steamboat lines, and railroads; and investing in real estate. In addition to accumulating personal and business assets, and providing for their families, many (if not most) of the Norwich elite performed major acts of philanthropy. The natural assets of the land, plus the drive of the entrepreneurs, helped make Norwich one of the wealthiest communities of its size in America. But there was one more vital element to this equation, without which the fortunes could not have been made. In their homes, in their factories, and on their farms, these titans of industry depended on an army of workers. Although the 19th-century Norwich work force included the native born, by far the greater number were immigrants and the children of immigrants from Northern and Western Europe. The wealthy class in Norwich almost all had servants – housekeepers, maids, laundresses, cooks, coachmen, and chauffeurs. As reflected in the U.S. Census, young women from Ireland and the United Kingdom were quite popular as live-in domestic workers. In the 1910 census, the large staff of the Charles L Hubbard family included 4 servants who were natives of Japan. 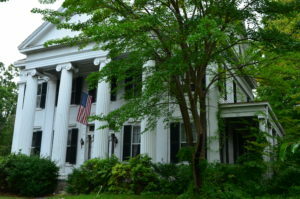 In 1880, the childless Lafayette S Fosters housed their Irish-born coachman, along with his wife and 6 children, four of whom attended local schools. Overall, the servants of our millionaires seem to have been treated with kindness and generosity. The Henry Bill family, in addition to several Southern-born African-American servants, employed the same Scottish housekeeper, Jennie Murray, from 1856 through 1904 (after the deaths of both Henry and Julia Bill). Gilbert and his adult sons labored at first for various Greeneville manufacturers, before resuming a life of farming in Lisbon, and later in Salem. By 1862, Gilbert Murray was a U.S. citizen; and soon he became active in Republican politics. He was elected several times to posts in town government, and served two terms in the Connecticut legislature. Several sons, after working a bit in Greeneville factories, became farmers, like their father and grandfather. John had a farm in Canterbury; and Thomas and Gilbert III acquired farms in Salem. Two of the younger “adult” sons were bitten by the pioneering bug. After just a few years in Norwich, they set out for Illinois. David was a successful farmer, well into his 60s, and raised two children. William established himself as a brick and stone mason. His early death, on his 40th birthday, left his widow to raise 5 children. Youngest son, Robert, became a butcher, and worked in Meriden. The girls in the family often found work as domestics or factory workers. Jennie Murray was the eldest, and seems to have worked only as housekeeper for the Bill family. In his will, Henry Bill left Jennie well provided for. For the rest of her life, she would receive $150 each Christmas. She had a home in the residence as long as his wife lived there, and the furniture and fittings in her rooms would belong to her. Following the death of Julia Bill, Jennie moved in with her younger brother, Peter, in Greeneville. By the time of her own death in 1918, Jennie Murray’s cash savings had grown to over $15,000. Interestingly, that is only about $10,000 less than Henry Bill had paid for his mansion, after the Civil War. Son James also was a well-regarded employee of Henry Bill. After working briefly on his father’s Lisbon farm, he spent two years working at the Chelsea Manufacturing paper mill. In 1861, Bill hired him to manage his Laurel Hill Farm. 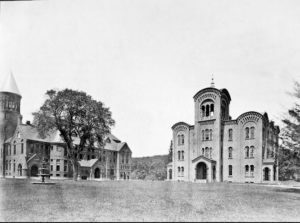 When he left the farm, Henry Bill presented James with a silver watch, for his “faithful service.” At that point, James was hired to oversee outside work for Hubbard’s paper mills, where he remained for 26 years. After leaving Hubbard, James and his wife purchased a farm in Montville, along the Thames, and peacefully retired. Although Jennie never married, her sisters all seem to have settled well. Jane married paper-maker, John Service, who also dabbled in the buying and selling of properties. Margaret married a machinist, with a shop in Waterbury; and Mary married a successful carpenter. Helen married a Salem farmer, but left him to raise two children, when she died in her thirties. Peter Murray, the second-youngest son, lived in Greeneville, all his adult life. He worked as a carpenter, for A. H. Hubbard and other companies. Like his brother James, and his brother-in-law John Service, Peter bought and sold real estate on the side. 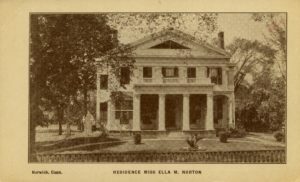 After the death of Julia Bill, Jennie Murray moved in with Peter and his two daughters. The whole family became active members of the Greeneville Congregational Church. Peter, Jennie, and their parents all now rest in the Yantic Cemetery.